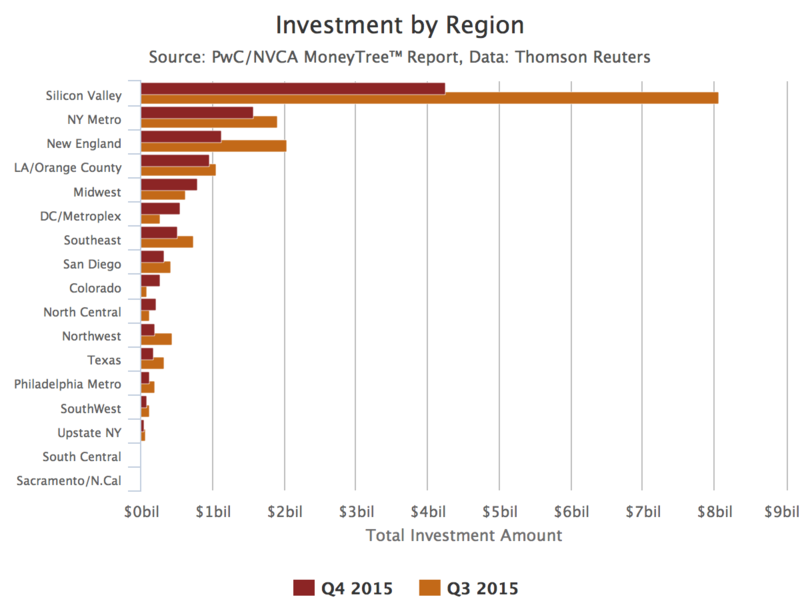 Q3 2015 had 352 deals totalling $8B (49% of total investment across all US markets). Q4 2014 showed a 47% decline with 264 deals totalling $4.2B (38% of all US markets). This entry was posted in Tech Valuation Bubble on January 19, 2016 by Andy Wibbels.